My guess is most young readers are unaware of Jerry Coleman, who passed away Sunday in San Diego at age 89. The decorated war hero and baseball legend succumbed to complications from a head injury suffered from a fall in December. Coleman’s lengthy career as a baseball player and radio broadcaster was interrupted twice by tours of duty as a Marine Corps officer flying combat missions in World War II and Korea. If your baseball acumen includes reverence for Hall-of-Famer Ted Williams, you should at least know of Jerry Coleman. Rest assured the Splendid Splinter would want it that way. Coleman was the 1949 American Rookie of the Year and 1950 World Series MVP as a second baseman with the New York Yankees. His career spanned playing on World Series teams with Joe DiMaggio and Mickey Mantle (not to mention his good friend Yogi Berra). He liked to tell a story during his 40-plus years broadcasting with the San Diego Padres about a trip to play the Colorado Rockies. Coleman learned Mantle was in Denver for an autograph show and stopped by the hotel to say hello, only to learn it would cost his $5 for entrance to the ballroom. Truth was, Mantle should have been educating people in the ballroom about Coleman. It was a good gag line, but no one who knew him believed it. 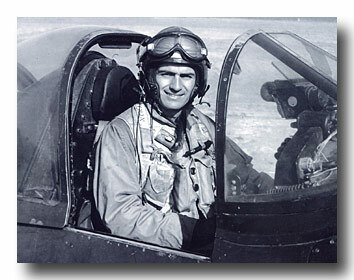 This is the most important thing to know about Jerry Coleman: He was the only Major League Baseball player to see combat duty in two wars. He flew 57 missions in the South Pacific in World War II and 63 in Korea. A pro athlete seeing combat in two wars is a record not likely to be broken in this era of overpaid athletes and America’s volunteer military. Before you can try to correct with me Ted Williams, know that the Splendid Splinter served stateside at the end of World War II. Williams’ combat missions were in Korea, where he flew alongside Coleman on some missions. If Williams was called the John Wayne of baseball for his personality as a ballplayer and heroism as a Marine Corps fighter pilot in Korea, Coleman should be known as Jimmy Stewart. Ted Williams didn’t underestimate Coleman. Many years ago in an article for the magazine “Officer,” Williams explained the guts it takes to fly combat missions. One of the examples Williams cited was a mission Coleman flew deep in North Korea. Williams recounted how the plane Coleman’s best friend and roommate piloted was shot down in front of him. Coleman watched the plane crash. There was nothing Coleman could do but finish the mission. When Coleman finished his tour of duty and returned to the Yankees, it was left to him to convince his friend’s widow that he had died in the plane crash. On the day Coleman was honored by the New York Yankees upon his return to baseball, he was met at the hotel where he was staying by the widow of Major Max Harper, the friend Coleman witnessed shot down. Harper’s widow had refused to believe her husband was dead. She hoped he would be one of the prisoners of war who would be returned by the North Koreans. Coleman was the only person she would believe. He had to tell her he saw the plane go down. He had to say no one could have survived the crash. Then he had to take part in the celebration of “Jerry Coleman Day” ceremonies before the game. “Jerry Coleman was a hero and a role model to myself and countless others in the game of baseball. He had a memorable, multifaceted career in the national pastime — as an All-Star during the great Yankees’ dynasty from 1949-1953, a manager and, for more than a half-century, a beloved broadcaster, including as an exemplary ambassador for the San Diego Padres. “But above all, Jerry’s decorated service to our country in both World War II and Korea made him an integral part of the Greatest Generation. He was a true friend whose counsel I valued greatly. Think about Jerry Coleman when you revere American sports heroes. They won’t measure up.